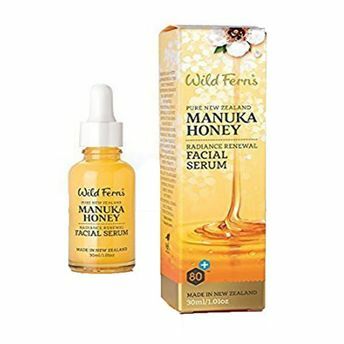 Wild Ferns Manuka Honey Facial Serum is designed to penetrate the skin and deliver many skin loving ingredients. Premium certified Manuka Honey 80+ and powerful antioxidant Vitamins A, C and E combine with a potent blend of Sweet Almond, Rosehip and Evening Primrose oils to moisturize, nourish and help protect skin from future damage. Royal Jelly and Bee Pollen regenerate and rejuvenate the complexion for a radiant, healthy glow.